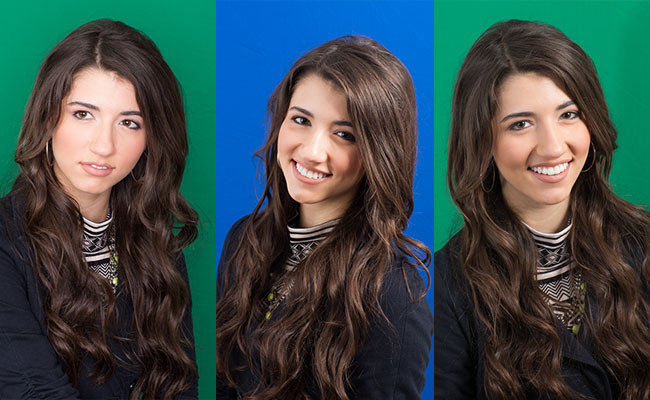 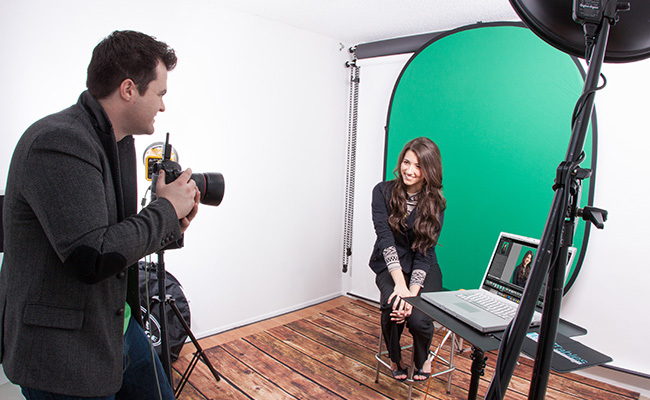 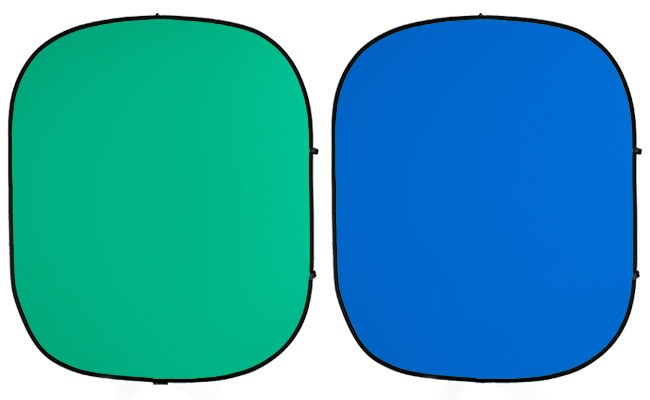 BD's Chroma Green/Blue Collapsible Background is chromakey green on one side and chromakey blue on the other. 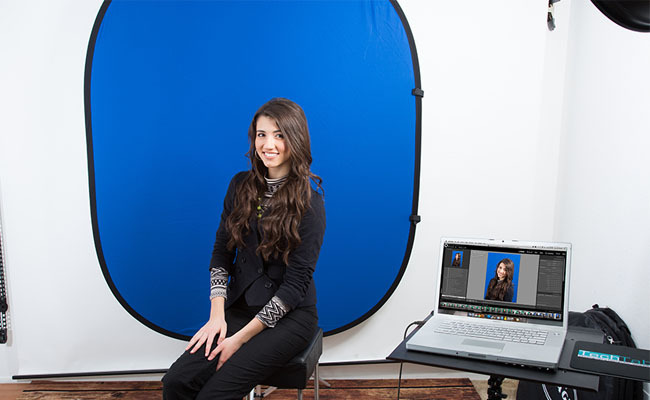 Ultimate versatility for chromakey work. 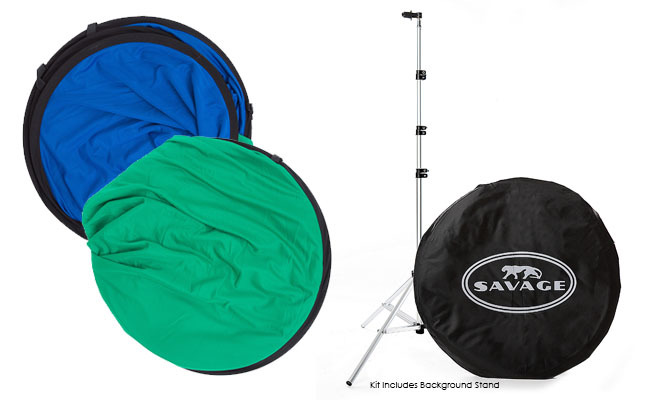 Made of high-quality, non-reflective cotton that eliminates glare.